The YKK-sponsored Widnes Wild had to come from behind before storming to an impressive 5-9 win away to local rivals Deeside Dragons on Sunday. Widnes were quicker out of the blocks in the second period, however, and Ollie Barron pulled a goal back just 31 seconds from the restart. Lee Kemp fired in the equaliser in the 28th minute and three more unanswered goals – from Bez Hughes and two more from Barron – gave the Wild a healthy 3-5 lead to carry into the final period. A Ken Armstrong strike on 42 minutes edged the Wild further ahead but that was cancelled out by a Deeside goal 4 minutes later. A powerplay goal from Danny Bullock 2 minutes after that restored the Wild’s 3-goal lead and a hat trick goal from the Dragons’ Gavin Austin gave the home fans hope heading into the last 5 minutes. A Stuart Brittle strike just 20 seconds later ended any Deeside hopes of a late comeback and the score remained 5-9 to the Wild at the final buzzer. Two wins over the weekend saw the Bradford Bulldogs grab the last remaining place in the end of season play offs – which will take place at Planet Ice Widnes over the weekend of 20th and 21st April. There are two semi final games on the Saturday – where Widnes Wild as champions will take on the team that finishes 4th in the league table at 4.30pm and Telford Tigers – who are confirmed runners up – will play the team that finishes third at 7.30pm. The two semi final winners will meet in the play off final at 5.30pm on the Sunday. The Summer Classic Cup has an expanded format for 2019 comprising 10 teams overall split into Western and Eastern Conferences – with the top teams after the group stages meeting in semi finals and a final in August. 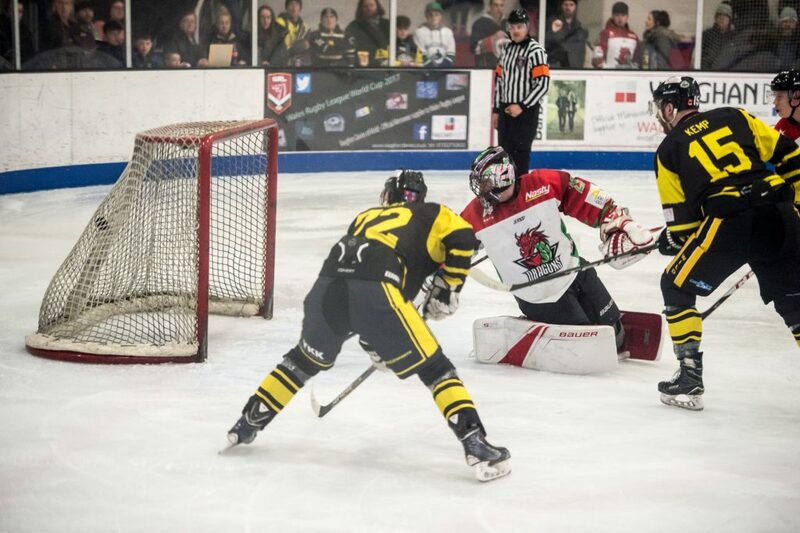 The post Wild Slay Dragons In 14-Goal Thriller Local Derby appeared first on YKK Widnes Wild. AWAY TRAVEL: Hull Â£5 return!